The Friends of Medieval Dublin is a not-for-profit study-group designed to promote public interest in the medieval city of Dublin. Our board consists of three members: a treasurer, a secretary and a chairman. Since 1976 we have had four chairmen: F.X. Martin, O.S.A. (1976-84), Rhoda Kavanagh (1984–6), Howard Clarke (1986–98) and Seán Duffy (1998–present). All of our events are organised and run by volunteers who are dedicated to the fundamental goal of the Friends, to facilitate the research and study of medieval Dublin and to make that research accessible to the public. Since 1999 the Friends have organised an annual symposium held in May at Trinity College Dublin, and since 2010 a popular lunchtime lecture series has run from June to December at the Wood Quay Venue of Dublin City Council. The proceedings of the symposia are published as the Medieval Dublin series and edited by our current chairman, Seán Duffy, and the proceedings of both our symposia and the lunchtime lecture series are published by the Four Courts Press. This page offers an overview of the organisation’s past, our present activities and what we are planning for the future of the Friends of Medieval Dublin. Nearly 40 years ago, in 1976, the Friends of Medieval Dublin formed as a small study-group that focused on the city in the Middle Ages, which, at that time, was a relatively neglected part of Dublin’s history. 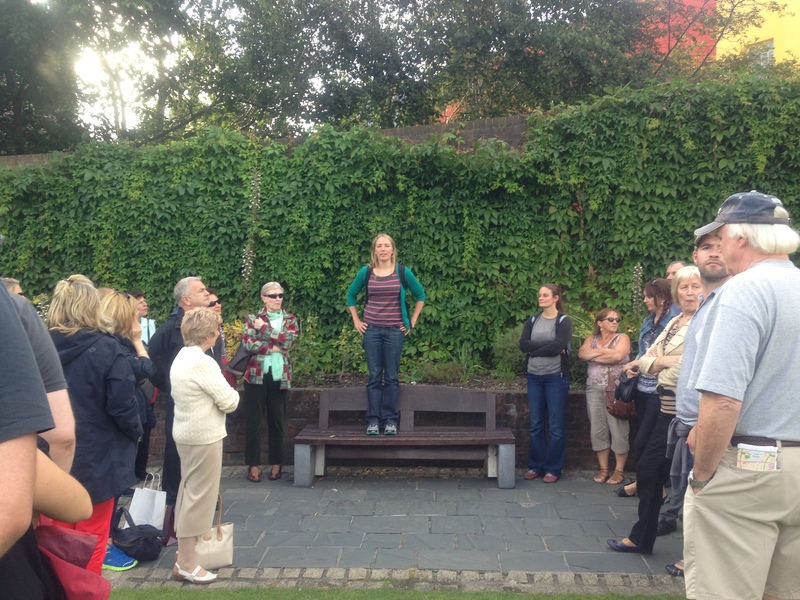 The group formed during a time of heightened tensions between preserving Dublin’s past and preparing for its future. Dublin Corporation planned to build its new Civic Offices on the site of Wood Quay (between Christ Church cathedral and the River Liffey). During preliminary excavations (beginning in 1969, but most extensively from 1974 onwards), however, a treasure trove of Viking and Anglo-Norman artefacts were unearthed. Further investigations and contextualisation were required, and at the beginning of 1976, Howard Clarke (Professor Emeritus of Medieval Socio-Economic History at U.C.D and former chairman and current treasurer of F.M.D.) created a map that superimposed the medieval city onto its modern descendant (as can be seen below). The legal battle for the future of the Wood Quay site raged on, and Professor Clarke’s map was presented by F.X. Martin (chairman of the Friends of Medieval Dublin 1976–84) in the High Court as evidence of the historicity of the Wood Quay site. Unfortunately, Dublin Corporation won its case in the Supreme Court and archaeologists were forced to halt their excavations in March of 1981 despite being unfinished. The battle captured the public’s attention. In 1976, over 20,000 people came out to protest against the building of Dublin Corporation’s Civic Offices on the site of one of the most substantial finds of Viking settlement in Europe outside Scandinavia. Indeed, even though the work was unfinished, the Wood Quay site yielded hugely important finds. Almost all of the Viking houses excavated in Dublin up to that point come from the Wood Quay site. As Patrick Wallace, the site director, said many of the finds ‘altered previous impressions, gave rise to new ideas and generally made it necessary to rethink previous conclusions’. Under the direction of Dr Wallace, archaeologists from the National Museum of Ireland uncovered over 80,000 finds within the first eight months of 1975. During the debate between protesters (including historians, archaeologists, politicians and the general public) and the corporation, a stretch of 20 yards of the medieval city wall (c. 1100) were bulldozed. A portion of the wall has been preserved by Dublin City Council and can be viewed in its original position in the new Wood Quay Venue where the Friends of Medieval Dublin currently hold their lunchtime lecture series. During the excavation and the battle between archaeologists, historians, and the general public on the one hand and the corporation on the other, the Friends of Medieval Dublin and its chairman, F.X. Martin, emerged as national figures. During the 1970s the Dublin Arts Festival convened every March and by the end of 1976 nearly half of its programme of events became devoted to the Middle Ages. It was at this time that a number of articles and pamphlets about the medieval city were published by members of the Friends. Howard Clarke edited a small collection entitled ‘Focus on medieval Dublin’ for the Dublin Arts Festival publication in 1979, which included a map of the medieval city by Anngret Simms that has continued to influence the way in which modern scholars view the topographical development of medieval Dublin. Linzi Simpson’s more recent maps of the Viking-Age settlement have been based on Anngret Simms’s original. From the mid-1990s onwards there was an upsurge in the publication of material on medieval Dublin. Owing to redevelopment in the city centre, the Friends of Medieval Dublin carefully monitored any locations that might have archaeological potential. This has since become the remit of the city archaeologist of Dublin City Council (a role established in 1991 at the behest of the Friends). After the establishment of the position of the city archaeologist, the Friends of Medieval Dublin began to move out of the courtroom and into the classroom. In the late 1990s the Friends established an annual symposium held in April or May at Trinity College Dublin. The mix of archaeologists and historians speaking at the symposia has become a notable characteristic of the Friends’ activities, which facilitate cooperation and dialogue between these disciplines. One of the conditions of speaking at the symposia is that the text and images from the lectures will be published in the subsequent symposia proceedings. Our popular Medieval Dublin series is now on its 15th volume and is still going strong. After their rocky beginnings, the Friends of Medieval Dublin and Dublin City Council have more recently worked together to promote interest in the medieval city. Since 2010, in addition to our annual symposium and with the help of the city’s heritage officer, Charles Duggan, and the city’s archaeologist, Ruth Johnson, the Friends of Medieval Dublin have run a series of lunchtime lectures in the new Wood Quay Venue of Dublin City Council on the site of the controversial development . These lectures are open to the public free of charge and bring together historians, archaeologists and the general public to explore this great city and its fascinating medieval past. Our lecture series began with the ‘Tales of Medieval Dublin’, a series focused on exploring the everyday lives of relatively unknown Dubliners. This series ran for three successive years (2010–12) and culminated in a hugely popular publication in 2014 Tales of Medieval Dublin, edited by Sparky Booker and Cherie N. Peters. Other series include ‘Living and Dying in a Medieval City: Dublin in the Age of Clontarf’, which ran in 2014 to mark the millennial anniversary of the battle of Clontarf, arguably one of the most pivotal battles in the early middle ages and one of the most controversial battles in Irish historiography. Our current series, ‘Milestones of Medieval Dublin’, is ongoing and focuses on key events in the history of medieval Dublin, such as the first Dublin Vikings (c. 790–800), the first Dublin coinage (c. 995), the foundation of Christ Church cathedral (c. 1030), the Bruce invasion (1315–18), and the arrival of the Black Death (1348). The Friends of Medieval Dublin have also been active during Heritage Week, offering free walking tours of the medieval city. This annual summer event is run by the Heritage Council with the aim of building awareness and education about Irish heritage and encouraging conservation and preservation. Since 2005 Heritage Week has run successfully with over 1,700 events each year. The Friends is run by volunteers, both academics and those working in the heritage sector, but the support of the general public is essential to ensuring that the history and archaeology of medieval Dublin are protected into the future. We would like to take this opportunity to thank everyone who participates in our events, buys the resulting volumes, and supports this not-for-profit organisation dedicated to the research into Dublin’s medieval past and the dissemination of its findings. 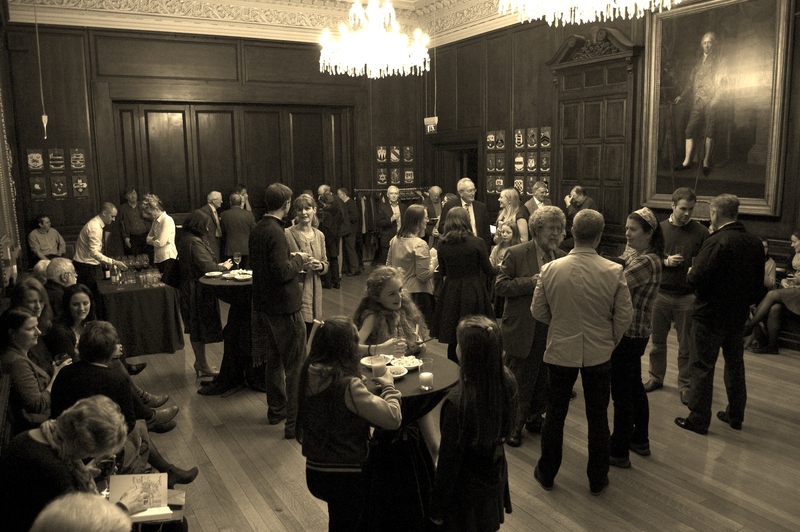 In 2016, the Friends hit their own milestone: the 40th anniversary of the founding of the Friends of Medieval Dublin. Long may it continue. If you would like to join our mailing list or have any questions regarding our upcoming events, please do not hesitate to contact us at: friendsofmedievaldublin@gmail.com. We look forward to seeing you at some of our many events in the coming months and years!